The clean energy market grows stronger every day. We’ll help you capture emerging opportunities. Pilot Power Group will design an energy purchase plan that includes any level of renewable clean energy – even up to 100 percent – for your portfolio. We will provide all renewable energy credits necessary to comply with the state regulatory requirements, but our flexible business model also allows our clients to purchase a portion of their energy needs through various renewable suppliers if they so desire (some restrictions on REC type and contract duration may apply). Additionally, businesses can sell any excess renewable credits they may have purchased under this program through Pilot Power to the market. Going green has never been easier. 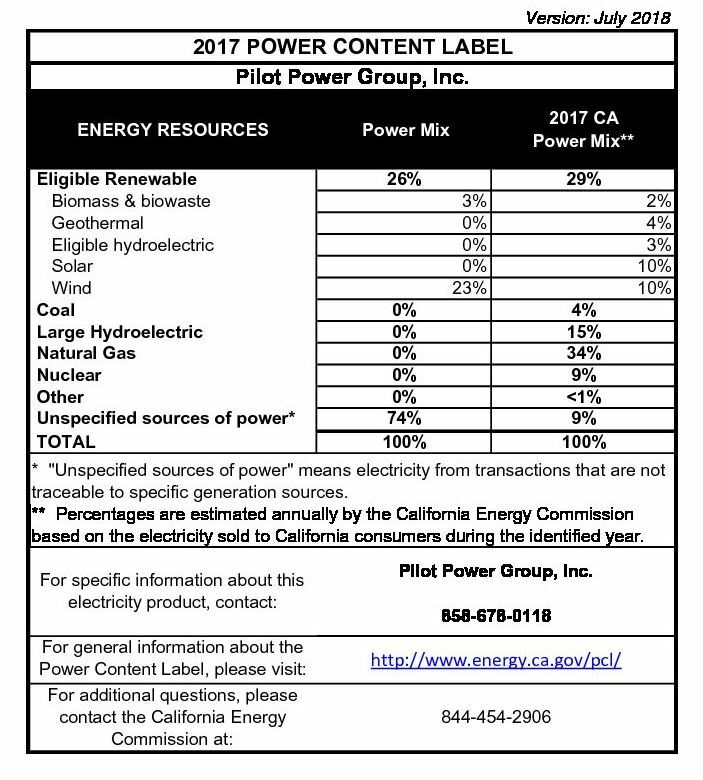 The Power Content Label is an annual report that shows where your electricity was generated during the calendar year and how it compares to the State of California’s power mix. Pilot’s power mix meets California’s requirements for clean power. Think of the Power Content Label as a “nutrition label” for electricity. This label provides reliable information about the energy resources used to generate electricity, enabling you to easily compare the power “content” of one electricity product with that of another. The Integrated Resource Plan is a report that the shows the analysis completed by Pilot Power Group to provide a procurement path to satisfy California GHG benchmarks by 2030. This procurement path coincides with the conforming portfolio. Learn more about Pilot Power Group’s energy mix. 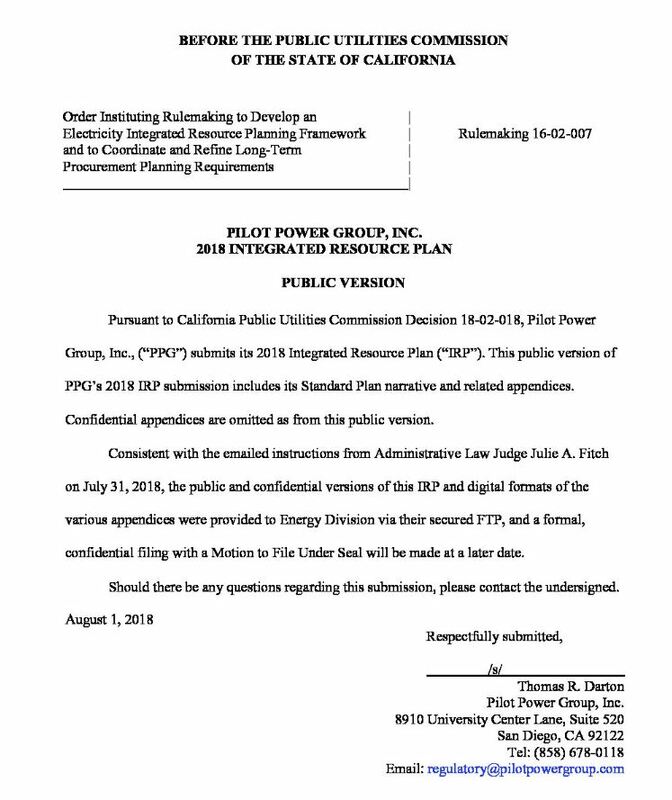 Learn more about Pilot Power Group’s Integrated Resource Plan providing a procurement path to satisfy California GHG benchmarks by 2030.